My new enemy: rowers. And motivational speakers. On Saturday morning, I ran a 5k. Mr. B didn’t go with me because he had other plans, but namely, also, I think he didn’t want to wake up at 6:30 on a Saturday morning. 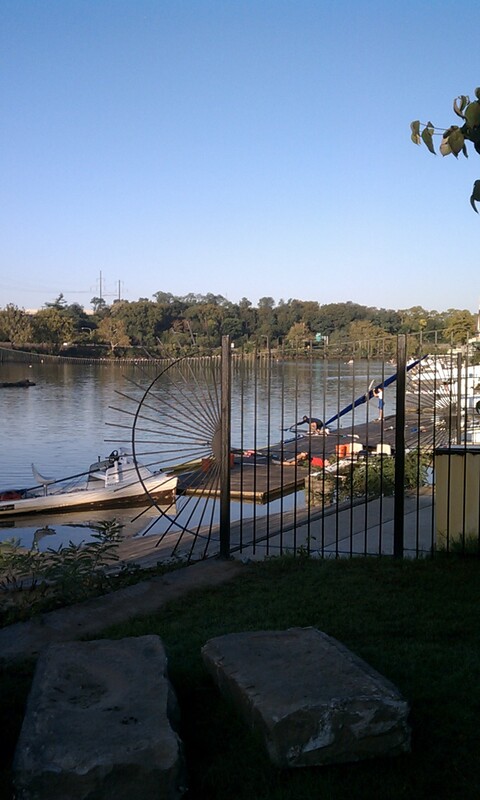 The 5k was along the Schuylkill River, near Boathouse Row, an iconic landmark in Philadelphia. 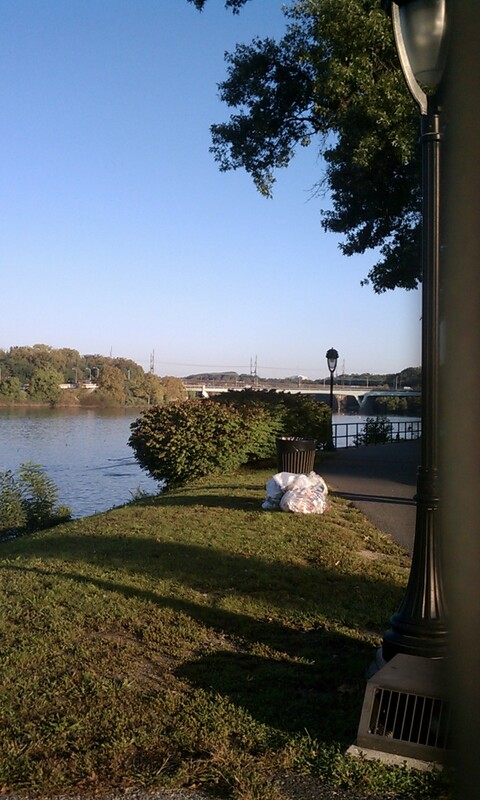 The good part of this is that it is very pretty near the river, and it was perfect weather. The bad part is that even if you come at 8 AM, in your best sweats, pumped up and feeling smug and more athletic than everyone, the rowers from various local universities (*cough* Penn *cough*) are already there and have been rowing for the better part of an hour, making you look very bad. 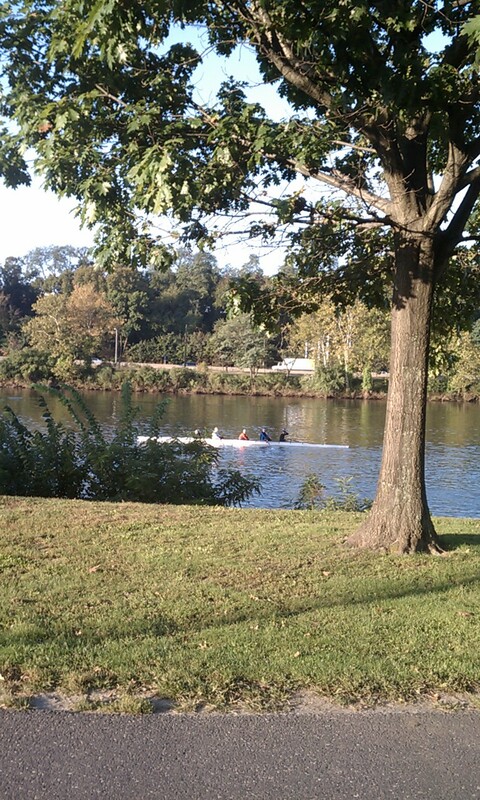 Also, some of these rowers used the 5k as a WARMUP for the regatta that they’d be doing later that morning. 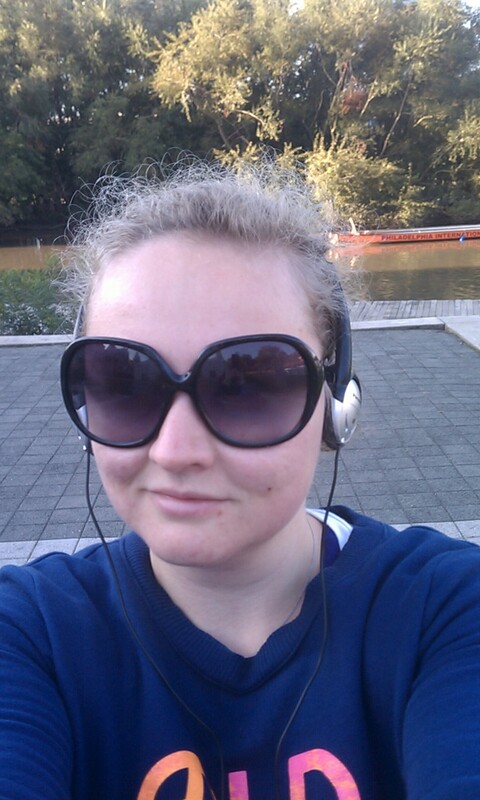 Also, some of the rowers didn’t stop after 5k, but did two laps. And then they grew wings and flew. 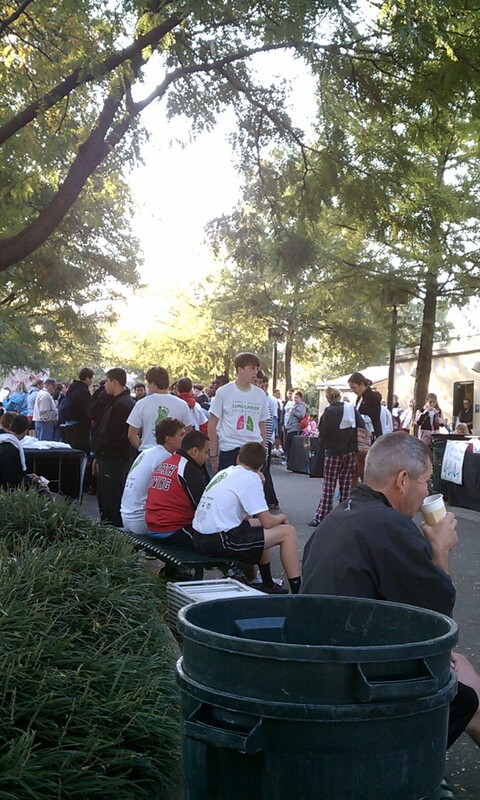 The other thing about running 5ks for charity is that they are annoying. I don’t mean the charities are annoying. I am all about giving to good causes, especially cancer-related, because we’ve had two cancer-related deaths in our immediate family and it has an impact on me. But what I hate, and I don’t want to come across like a huge jerk while writing this but I probably will, are the motivational speeches before the race. As if we are Gladiators Against Cancer. All we’re doing is running (or in some cases, wheezing desperately for air around the 2 mile mark). And giving money. We’re not the actual scientists working on a cure, and you telling me that I make an enormous difference makes me feel like an even bigger jerk. So does you crying. So do 25-minute speeches about why 5ks are important. So does you exploiting cancer survivors by making them give speeches about cancer that maybe they don’t want to give. The melodrama surrounding cancer is the same reason I hate how pink is now associated with breast cancer awareness. So me buying some pink yogurt or a pink cereal box is supposed to help solve a genetic aberration that we haven’t been able to solve with our best scientists since the beginning of humanity? Whew. Good thing I can send in my yogurt lid for 10 cents towards breast cancer. WHEW. Other than that, it was a great race. Also, coxswain is a funny word.